Namely: beach, pool and curry. 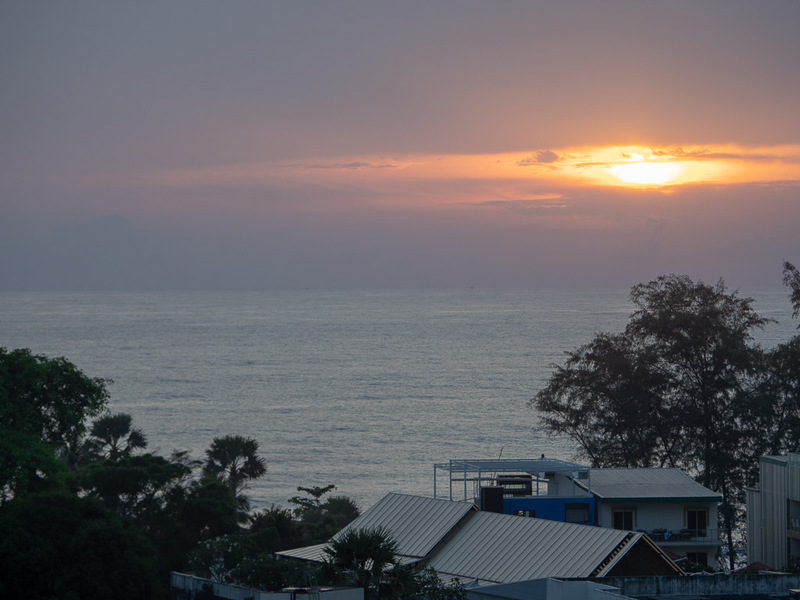 So, the rest of the trip can be pretty much summarized by saying that we ate Thai food and went swimming. 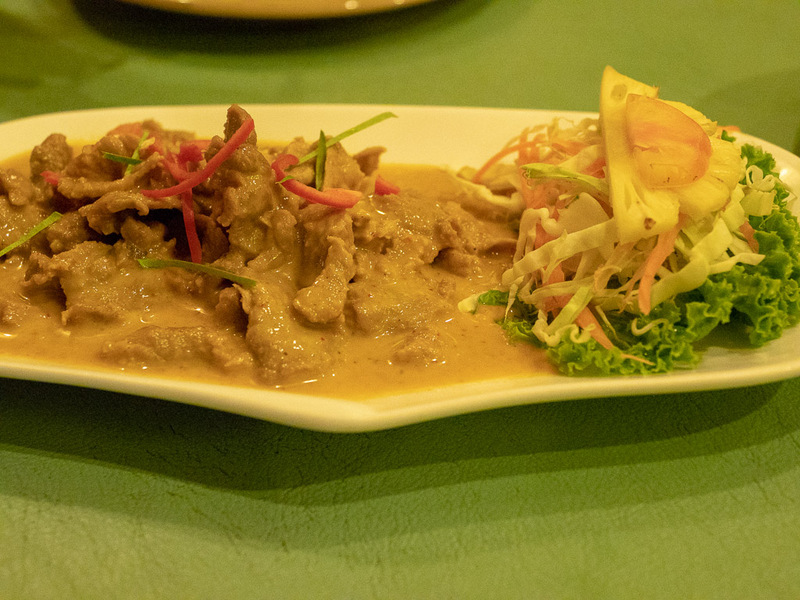 I've realized that Thai food is my favorite ethnic cuisine (not counting Chinese, since I married into that one), and I've finally discovered that panang curry is my favorite curry. So I ate panang curry at least once every day. The kids also discovered that their favorite Thai food is pad Thai. They ate it at every meal, except the meals we had at Western restaurants. At first I felt like I should push them to try other foods, but then I realized that most kids their age would be eating chicken nuggets at every meal instead. So, pad Thai it was! 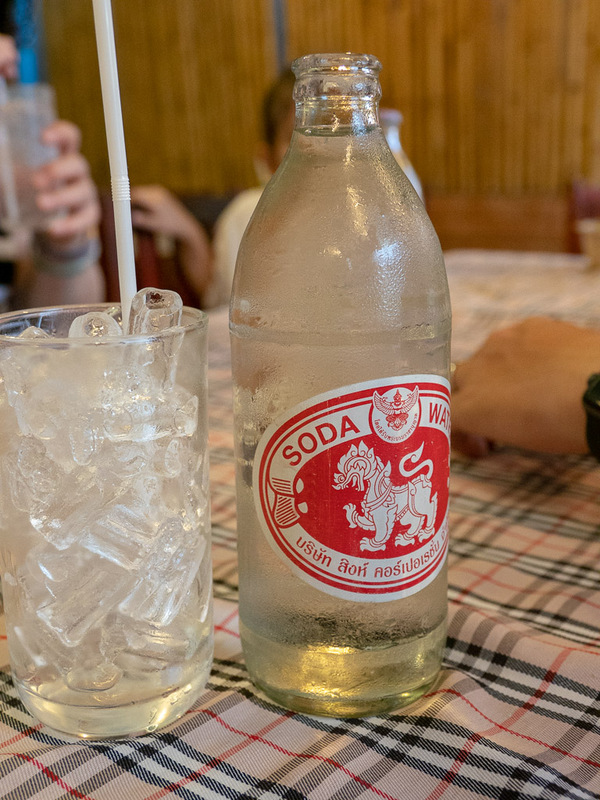 We also quickly discovered that the cheapest non-sweet cold drink we could get was soda water, so we had a lot of that too. I enjoyed laying on the beach and reading, but apparently sand is not as fun for kids as a swimming pool with a water slide is. 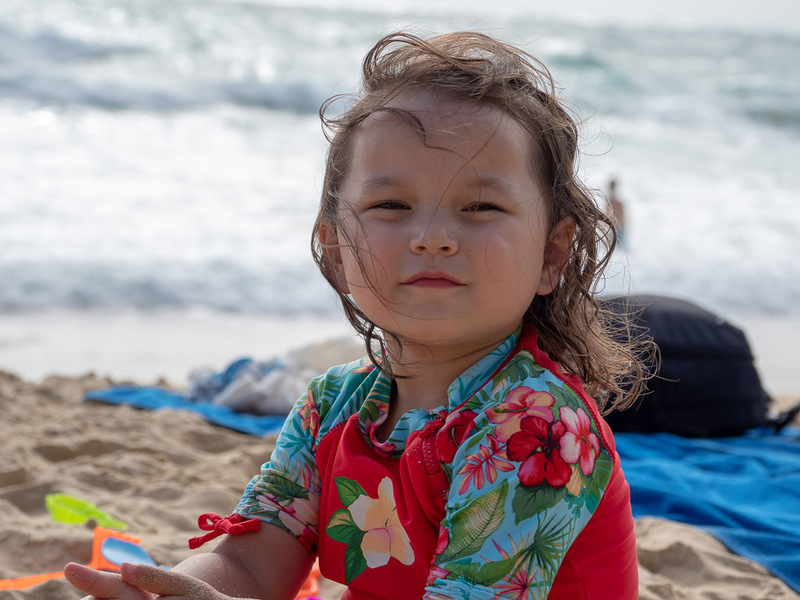 So, after our first attempt to get the kids to enjoy the beach, we started sending them to the pool with H's parents while we went to the beach and enjoyed the sun and the waves. By far, the kids favorite activity was the pool. They learned some swimming skills last winter in the States, but they're not exactly reliable swimmers yet. So, we had them wear life jackets the whole time they were in the water. That made it a lot less nerve-wracking for me! 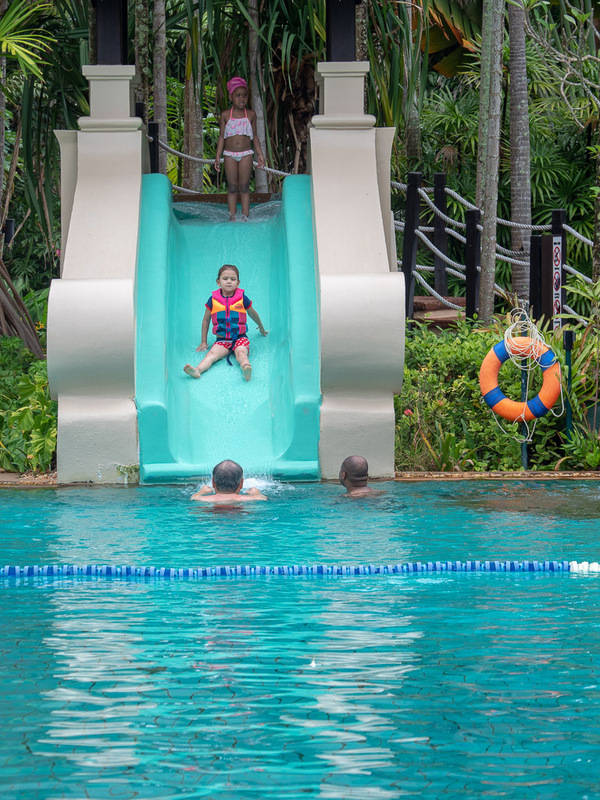 Also, after the first few days, they gradually figured out that their life jackets would keep them afloat no matter how deep the water was, so they started braving the water slide and doggy paddling aross the deep end themselves. It was great to see them so comfortable in the water! We also really enjoyed all the tropical fruit! And since we were there during the rainy season instead of the more pleasant winter, a lot of fruit was in season. Fruit stands are everywhere, and they all have blenders so that you can just pick a fruit and they blend it into a smoothie for you right there. We had fruit smoothies almost every day! 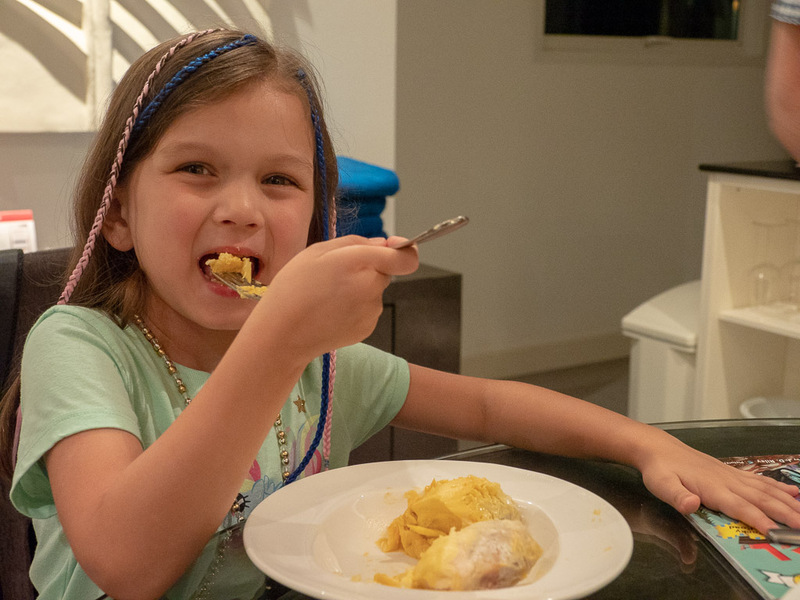 Mango, papaya, passion fruit and M's new favorite: durian! We did all try durian, but M was the only one who could appreciate it in non-smoothie form. So, we had a great vacation! We can't wait to go back again sometime.